We have researched and compared each API in detail - You're welcome! There is a fairly large number of REST APIs offering real-time and historical currency conversion out there. From data coverage, update frequency, exchange rate sources, pricing, UI and features - we have taken every detail into account, and found that below the surface there is a considerable ratio of difference between each provider. Need some more specifications? See the full comparison! 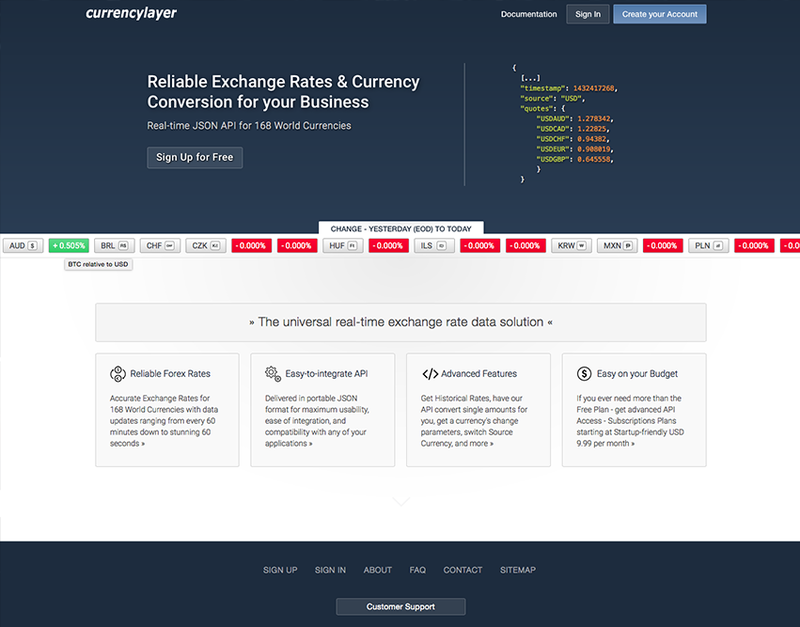 Currencylayer provides a JSON-based REST API, delivering accurate exchange rates for 168 world currencies at an affordable price, which makes it the perfect instrument for startups and online businesses, as well as for larger companies in need of reliable financial data via an easy to use API interface. You can sign Up for the Free Plan here. 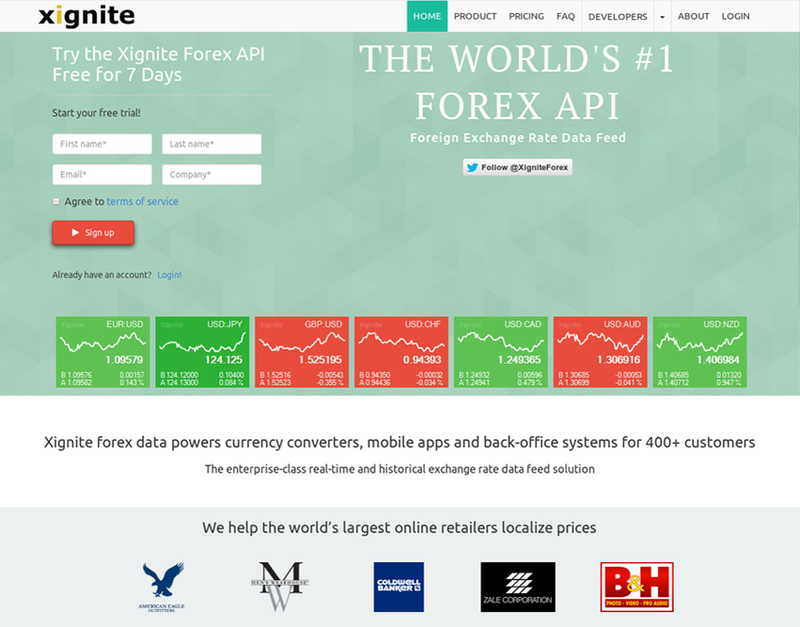 Xignite's cloud-based APIs power FinTech firms Betterment, Future Advisor, Personal Capital, Wealthfront & Yodlee. Xignite also provides private data distribution solutions for NASDAQ, NYSE & Direct Edge.